While we have seen the victory of Mahendra Singh Dhoni, from a train ticket collector to the captain of the Indian cricket team in MS Dhoni – The Untold Story, here’s another movie on the achievement of the Indian skipper. Albeit, this one is a completely different story and deals with the IPL, Indian Premiere League which saw Dhoni’s team Chennai Super Kings take the lead in 2018. Interestingly, this one titled Roar of the Lion has Kabir Khan as the creative producer while the filmmaker is also directing sports biopic ’83. Roar of the Lion is a documentary drama that revolves around the controversy revolving around match fixing. Cricket fans would be aware that Chennai Super Kings were caught in the infamous match fixing row way back in 2013 after which they were banned from the next two IPLs. Roar of the Lion by Kabir Khan attempts to bring forth what transpired during the incident. 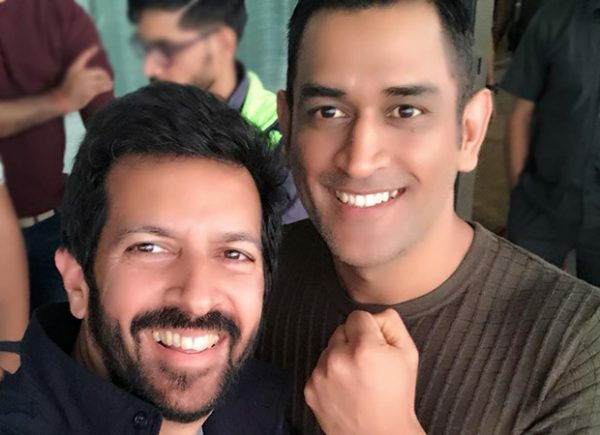 Kabir Khan, in recent reports, revealed that Dhoni has, for the first time, spoken about what transpired during the match fixing row and how he handled the allegations as the captain of Chennai Super Kings. Besides this, the team had also faced a lot of backlash owing to its senior players. Roar of the Lion is expected to have released on the streaming site Hotstar on March 20. Interestingly, the filmmaker is also currently working on a feature film based on cricket. Starring Ranveer Singh as Kapil Dev, Kabir Khan’s next, ’83 is based on the historic win of India at the 1983 Cricket World Cup. Did Charlize Theron Get A New Nose To Play Megyn Kelly? Brett Ratner: No More Fancy Haircuts, Either!